According to Inside Airbnb data, there is at least 2,614 Airbnb listings in New Orleans, and while the City requires all Bed and Breakfast operators obtain a permit, the city registry currently only lists 320 properties, most of which appear to be held by established operators. In addition, there are an estimated 1,211 listings (or 46% of listings) for an“Entire home/apartment” rented out frequently for an average of 193 nights per year. With the “host” not present in these “homes”, these listings are illegal and, more importantly, taking away residential housing in a city named by CNN/Money as one of the worst cities for renters in the U.S..
Of the 2,614 individual listings noted, 1,764 or 67.5% allow for use of the entire home/apartment. As noted above, 1,211 listings (46%) are occupied as illegal short-term rentals often enough to effectively prohibit more traditional occupation by a standard rental tenant. The data also reveals that an estimated 45% of the listings are posted by individuals offering more than one property for use as an Airbnb rental. 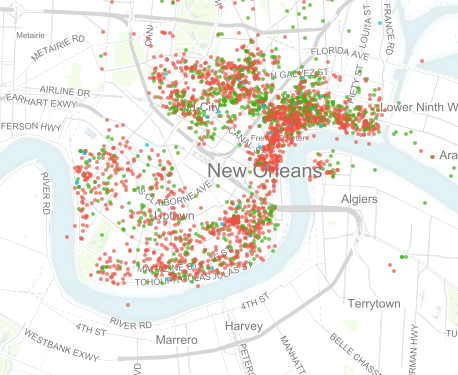 In the French Quarter, there are currently 183 active Airbnb listings with 93 (50.9%) of those being wholly unavailable for residential rental use; 90.7% of those listings (166 units) allow for use of the entire home/apartment. In the Faubourg Marigny, there are currently 174 active Airbnb listings with 82 (46.9%) being wholly unavailable for residential rental use; 70.7% of those listings (123 units) allow for use of the entire home/apartment. In Tremé-Lafitte, there are currently 194 active Airbnb listings with 83 (42.6%) being wholly unavailable for residential rental use; 54.6% of those listings (106 units) allow for use of the entire home/apartment. In the Bywater neighborhood, there are currently 141 active Airbnb listings with 68 (47.9%) being wholly unavailable for residential rental use; 71.6% of those listings (101 units) allow for use of the entire home/apartment. In just those four neighborhoods, the data indicates that a cumulative total of 496 homes/apartments are presently unavailable as rental units for the citizens of New Orleans. As it is unlikely that all illegal short-term rental operators/hosts solicit guests via Airbnb, it is worth emphasizing that this number reflects only those sites being offered via Airbnb. In the French Quarter, one of the biggest threats to the residential base is the proliferation of illegal short-term rentals. What action will the city’s Administration take to stem this tide and enforce the laws on the books? This is a potential revenue stream for our cash-strapped city. These operations don’t pay the hotel/motel taxes and they undercut legitimate hotels and bed & breakfasts. They reduce the availability of rental units for people who wish to reside in this neighborhood. At the District C Community Meeting in 2012, I repeated that question — word for word — and received an equally lackluster response. 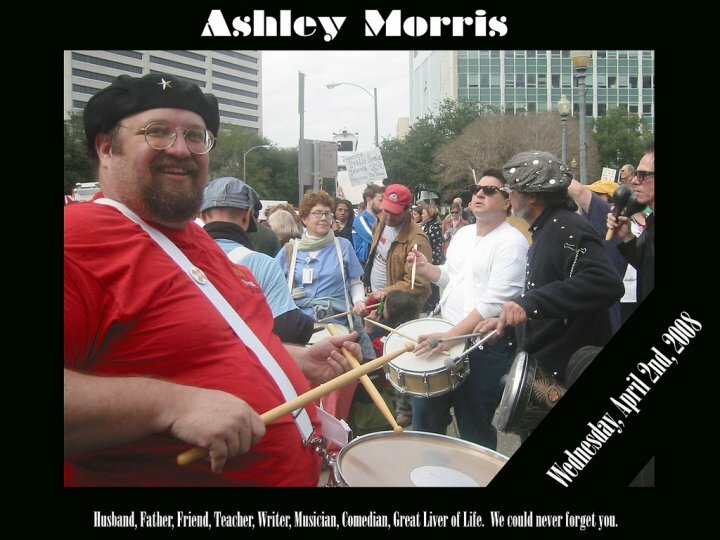 In 2013, I briefly referenced the subject again, but instead of repeating the question noted, I chose to use that opportunity to address the mayor by advocating on behalf for the New Orleans Police Department’s budget, as it had become obvious by that time that addressing the issue of illegal short-term rentals was not a priority for our city’s administration. “Home-Sharing” – The new law authorizes Home-Sharing, which is an activity whereby a resident hosts visitors in their home, for periods of 30 consecutive days or less, while at least one of the primary residents lives on-site throughout the visitor’s stay. The guest enjoys the non-exclusive shared use of the unit with at least one of the persons who is domiciled at the location. “Vacation Rental” – The new law continues the City’s longstanding prohibition against Vacation Rentals. A Vacation Rental is a rental of any dwelling unit, in whole or in part, to any persons for exclusive transient use of 30 consecutive days or less, whereby the unit is only approved for permanent residential occupancy and not approved for transient occupancy. The guest enjoys the exclusive private use of the unit. Residential neighborhoods are prized for their comparative stability. One knows one’s neighbors, whether owners or renters, and changes in the makeup of the neighborhood are relatively slow and predictable. Neighborhood stability is a shared social good – created by all together, it is not a commodity for sale by any particular resident.